Deborah Jane Kerr was a Scottish television and film actress. She was an affluent actress known for her work. She won a Golden Globe Award for the motion picture The King and I, and Sarah Siddons Award for the role of Laura Reynolds performed in Chicago for Tea and Sympathy. She originated the role of Reynolds on Broadway. Additionally, she was the three time winner for being the Best Actress in New York Film Critics Circle Award. Not only this, she also won BAFTA, honorary Academy and Cannes Film Festival Awards. A birth chart (also known as kundli, janma kundali, or horoscope) is a map of heaven at the time of birth. 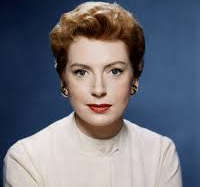 Deborah Kerr's birth chart will show you Deborah Kerr's planetary positions, dasa, rasi chart, and zodiac sign etc. It will also allow you to open Deborah Kerr's detailed horoscope in "AstroSage Cloud" for research and analysis.